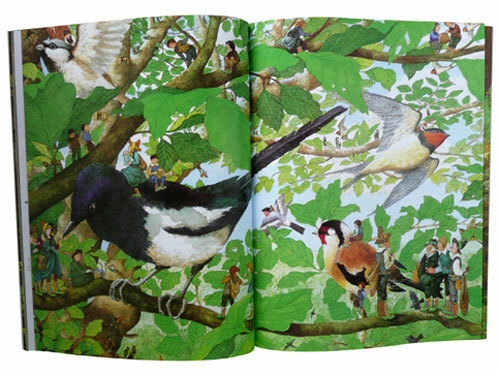 I can't remember which one drew me to pick up this book, the beautiful cover illustration or the big name of Roald Dahl. But I remember the question that immediately popped up in my head when I saw the author's name : Where's Quentin Blake? 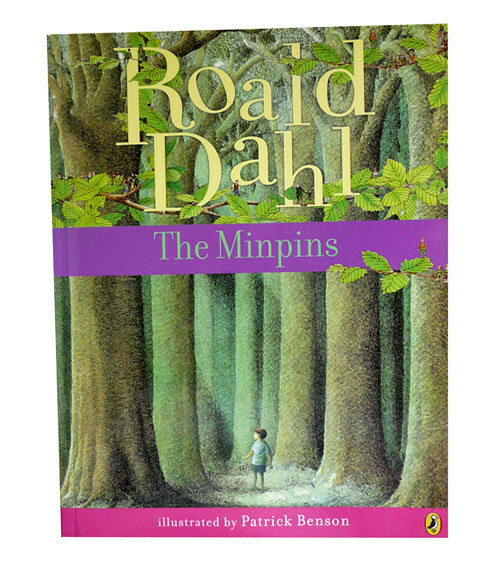 I read too few of Dahl's books (three books including this one, to be precise) to call myself a fan but I think Roald Dahl's name (and Blake's illustration) always has some kind of magnetic affect on me to at least pick it up and see what the story is about. 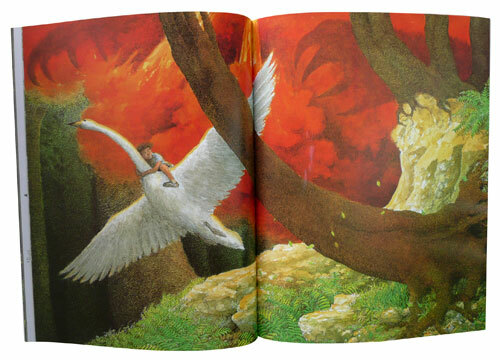 Patrick Benson's illustration for this book, The Minpins gives readers different feelings if compared to Blake's quirkiness. They are beautifully drawn in details. His crosshatching technique reminds me of one of my most favorite illustrators, Edward Ardizzone. 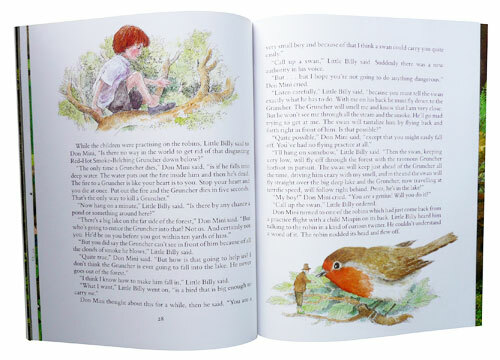 The Minpins is a story of Little Billy who always wondered what there was to see outside his home, where his mother called 'the Forest of Sin'. One day, unable to resist his curiosity, He ventured into the forest. Unfortunately, he was found by a big mysterious creature who blew out red-hot fire while chasing for life of our Little Billy. 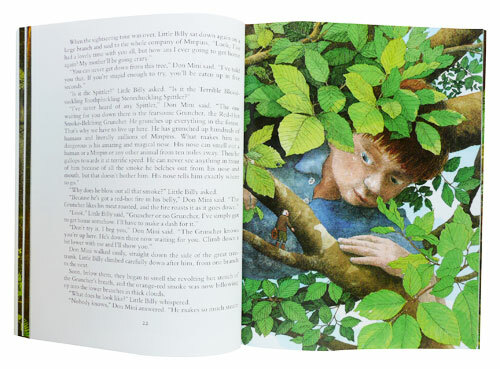 Terrified, little Billy ran into the deep forest until he encountered the tiniest people he had ever seen. They called themselves, the Minpins. 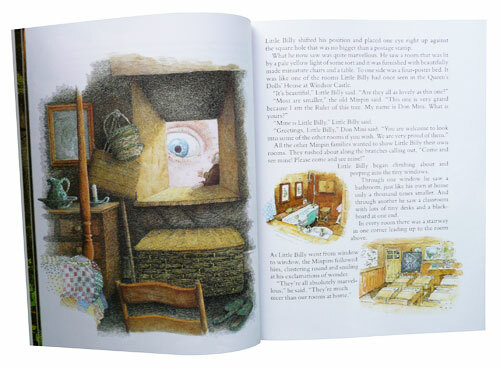 Who were they and how Little Billy escaped the monster, maybe you want to find the book to find out for yourself :-) Now, I will let Benson's lovely illustration tell some of the story to you. Big scene of the brave Little billy. Gorgeous colors! I remember watching a clip of Quentin Blake's talking about his work from his own site. Not sure if it's still there. I have no time to explore this site yet but it looks interesting for those who love children's book illustration.